AMD might possibly be preparing to offer another round of price-cuts on their Radeon R9 280X and Radeon R9 280 series graphics card in preparation of the upcoming Tonga GPU. According to Sweclockers, AMD’s is planning to slash prices on the two Radeon R9 280 series graphics cards which feature the Tahiti graphics processing unit which has spanned two and a half years in the graphics industry making it one of the most longest running desktop graphics card entry in the company’s history. 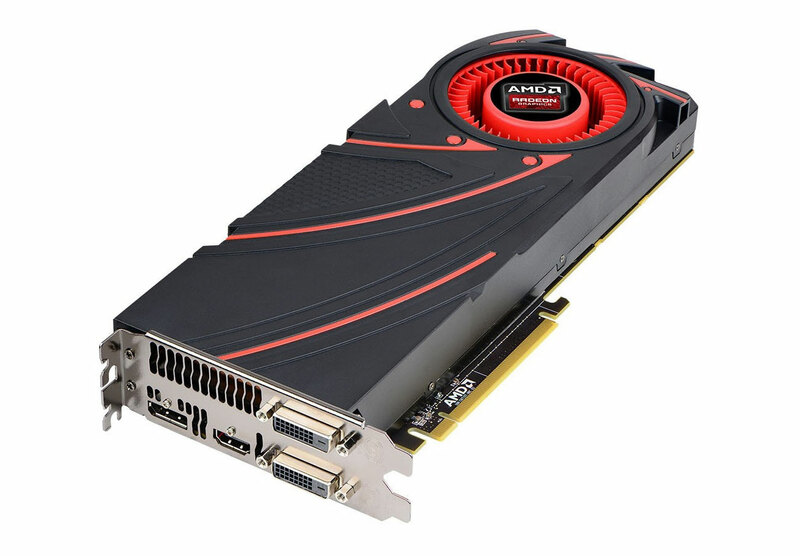 The AMD Radeon R9 280X and Radeon R9 280 are based off the Tahiti XT and Tahiti Pro dies respectively. The Radeon R9 280X comes with 2048 Stream processors, 3 GB of GDDR5 memory and a 1000 MHz clock speed at pricing of $299.99 US. The second chip in the line which is featured on the Radeon R9 280 is a cut down Tahiti silicon with 1792 Stream processors and 3 GB GDDR5 memory running across a 384-bit memory interface and priced at $249.99 US. The Radeon R9 280 was initially launched at $279.99 US but AMD quickly responded with price cuts due to the GeForce GTX 760 being quite successful at NVIDIA’s front (and it still holds a successful position in the mid-range market). The AMD Radeon R9 280X and Radeon R9 280 are essentially the same old Radeon HD 7970 and Radeon HD 7950 we have known since the launch of the Radeon HD 7000 series back in December 2011. Its time for AMD to move ahead and offer something new in the form of the upcoming Tonga GPU. As for the price cuts, it can be predicted that the Radeon R9 280X will cost $279.99 – $249.99 US and the Radeon R9 280 will cost $229.99 US after the price cuts. This puts them in a more competitive position against their GeForce rivals which include the GeForce GTX 760 and GeForce GTX 770. AMD also offers $150 US of value as a part of their Never Settle Bundle promotion which may entice users to join the red team but NVIDIA has their own AAA gaming bundle on their cards too so it all comes down to user preference. These price cuts will leave a huge market gap between the Radeon R9 280X and Radeon R9 290 ($279.99 US vs $449.99 US) which I believe will be covered up by the upcoming Tonga GPUs. The Tonga chip which is rumored to be a Radeon R9 280 successor will go for sale around a price of $299.99 – $329.99 US or AMD could take a similar approach as NVIDIA did with their Maxwell cards which offered higher performance per watt but were priced a tad bit higher than their competitors regardless of being slower in performance. NVIDIA marketed the card over its performance per watt, not performance per dollar but the pricing has somewhat been adjusted since the launch. The highest and most unlikely price range we could expect is $349.99 US but we don’t believe AMD will hit such a high note with this card since they are already facing decreased demand for the Radeon graphics cards and a 40% GPU shipment decline this quarter due to the end of the cryptomining craze. For specifications, the card will be built on a new architecture which is presumably the GCN 2.0 design and not the GCN 1.1 architecture which has been featured on Bonaire and Hawaii. The Tonga graphics architecture will be built on the 28nm node from TSMC (if rumors are to be believed) and would feature a new design scheme introducing latest architectural improvements such as new ACE (Asynchronous Compute Engine) Units and more focus towards compute shaders. It is also mentioned that Tonga will retain the basic technologies of the Radeon lineup such as Mantle, TrueAudio and XDMA for CrossFire support. Performance efficiency would be a main focus of the new card and the ratings could be expected somewhat similar to Maxwell if not the same. Details specific to clock speeds, stream processors, memory bus and VRAM are not known except rumors but we expect to find them out soon since launch of the Tonga GPU is just around the corner in August 2014. New Price $549 $449 $249-$279? $229.99?